Chris Vrenna garnered a name for himself in the early days of Nine Inch Nails, and then later producing or co-producing various artists (including Marilyn Manson, Rasputina, Xzibit, Lords of Acid) and providing remixes for U2 & Weezer (among others), and soundtrack work. In 2001, for example, Vrenna composed the dark, eerie instrumental soundtrack of American McGee's Alice. 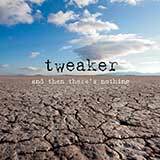 And it was also in 2001 that Vrenna unveiled his tweaker project. 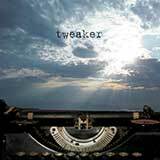 Best described as a blend of alternative pop/rock and electronica, tweaker blends an intriguing mix of influences and atmospheres. Dark and moody, call the time eternity is an electronic fever dream ride through a late night breakdown. Machine gun staccato percussion blends and churns with strings and synths to create a cohesive piece of work.